A vulnerable Senate Democrat is targeting her Republican opponent over ObamaCare in a new ad released Thursday. Sen. Heidi Heitkamp (D-N.D.), who is running for reelection in a state won by Donald Trump in 2016, released an ad highlighting GOP Rep. Kevin Cramer's votes to repeal ObamaCare. The ad features a woman named Denise who has heart disease. "Mr. Cramer, I don't know why you voted to let insurance companies go back to denying coverage for pre-existing conditions but I know Heidi would never do that," Denise says. 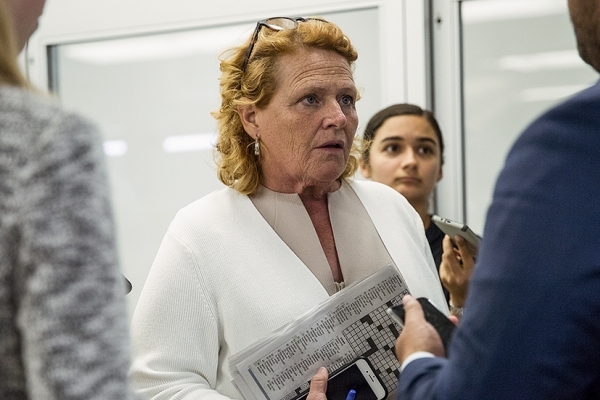 Cramer voted to repeal ObamaCare 65 times, Heitkamp's campaign said. “Heidi has worked across the aisle to improve the current law to make health care more accessible and affordable for North Dakotans," said Libby Schneider, Heidi for North Dakota campaign manager. "In stark contrast, Kevin Cramer has spent his time in Washington voting 65 times to repeal or undermine the health care law — without offering a single solution to make it work better for North Dakotans." Democrats believe health care is a winning issue for them heading into the midterms, where they hope to win back control of the House and the Senate. They are facing a tough road in the upper chamber where they have 10 members defending in states that were won by Trump in 2016. While Republicans campaigned for years on promises to repeal the health care law, they have since backed off of that campaign issue after failing to pass repeal bills several times last year.